I created this sculpture to express the blatant use of animal testing to feed our vanities. Initially I was going to do a drawing of it but I felt that the sculpture served its purpose as its own artwork. I created all the rats out of clay and painted them with acrylic paint. 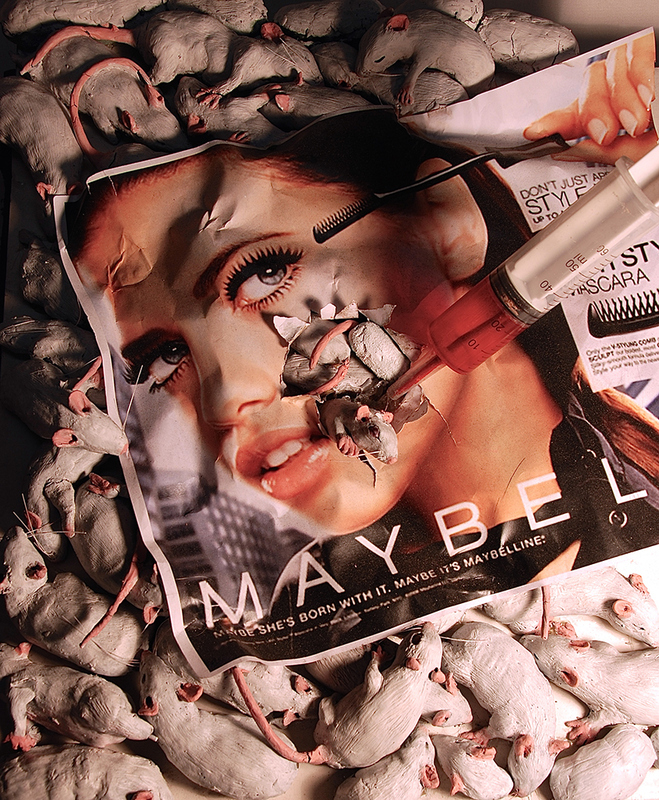 I then placed a magazine ad I found on top of the rats and placed a plastic syringe piercing one of the lab rats. This sculpture is 15" x 18".